Ronald Coleman gives a heartfelt performance in this effective adaptation of the tale of the man with a huge nose and no luck at all in love. I know it seems impossible, but a few months ago, I made a mistake. As part of my Read/Watch 'em in Order series, I reviewed the 1932 movie Arsene Lupin, based on the adventure of the gentleman thief created by Maurice Leblanc. In that movie (based on a play written by Leblanc), Lupin steals from rich people who in some way "deserve" to be robbed--his target in the movie made a fortune as a war-profiteer. When I wrote that post, it had been awhile since I read any of the original prose stories and I stated that Lupin choose his targets the same way there. But I've just re-read the first book--a collection of the short stories published between 1905 and 1907. I've been reminded that the Lupin of the books robs you pretty much because you are rich. It doesn't matter if you're naughty or nice. Lupin simply wants your money. It's not that he's any less likable, though. He's still non-violent, clever, honorable in his own way and (as established in the story "The Seven of Hearts") loyal to France. But several of his victims seem perfectly nice people in their own right. But they can afford the loss when Lupin robs them, leaving us with enough room to enjoy his adventures without having to feel badly about it. Besides, there is even a very effective acknowledgement that Lupin's chosen profession does have its downsides--he can never be with the woman he loves, sighing "What a pity I am not an honest man!" The Lupin stories are clever and exciting. In their own way, they are mysteries. One story, for instance, opens with Lupin in prison, having been captured in the previous tale. But a rich guy is still receiving letters from the thief, stating that the rich guy's art treasures will be stolen on a specific night. This is, of course, impossible, especially since police guards are brought in to babysit the treasures. But it happens anyways. Learning how Lupin pulled it off is great fun. The following story, which ends when we find out how Lupin escaped from prison, is even greater fun. Having Lupin's genius explained to us, by the way, is never a problem. 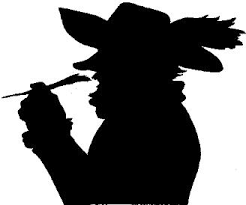 The thief is not without ego and he fully enjoys telling someone in detail how he pulls off his capers. Heck, sometimes he'll tell the cops. But Maurice Leblanc is careful to give Lupin enough humanity to allow us to identify with him. For instance, "The Black Pearl" has Lupin stumbling across a murder victim while attempting to steal a valuable pearl. This elicits several moments of pure terror before he pulls himself together and sets out to find the killer to see that justice is d...well, actually, so he can still get the pearl for himself. But in his own way, he makes sure the killer is punished. "Madame Imbert's Safe" is a flashback to one of Lupin's early capers, in which someone manages to out-con him and actually cost him money. Like Arthur Conan Doyle did with Sherlock Holmes, Leblanc gives us a man who is undeniably a genius, but fails just often enough to keep him grounded and allow us to accept him as real. And speaking of Sherlock Holmes, Lupin does run across the Great Detective in one story. The two, working separately, each solve a centuries-old riddle that allows them to find a secret passage into a castle. Lupin gets to one-up Holmes in a small way at the story's conclusion, but both men get their Moments of Awesome. The tale is a delightful one because Leblanc presents Holmes in a faithful and respectful manner. We have no problem accepting this Holmes as the real one. Doyle, by the way, complained about this, so a couple of future encounters with an English detective (recounted in the second Lupin novel) saw the thief matching wits with a guy named Hemlock Sholmes. Doyle had every right to complain, of course. Holmes was his baby, after all. But I do wish he had just gone along with it. It's very easy to think of Lupin and Holmes as living in the same world. Of course, in Leblanc's stories, Lupin manages to just barely get the best of Holmes/Sholmes and fans of the characters can argue that point endlessly. But in the Holmes stories "The Five Orange Pips," Holmes does say "I have been beaten--three times by men and once by a woman." Maurice Leblanc gave us a clever and believable character when he created Arsene Lupin. I'm okay with the idea that one of the three men who beat Holmes was the Gentleman Thief. You can read the first Lupin book--The Extraordinary Adventures of Arsene Lupin--HERE. The anarchy that reigned throughout the classic Looney Tunes cartoons are a large part of what makes them the best cartoon shorts ever. 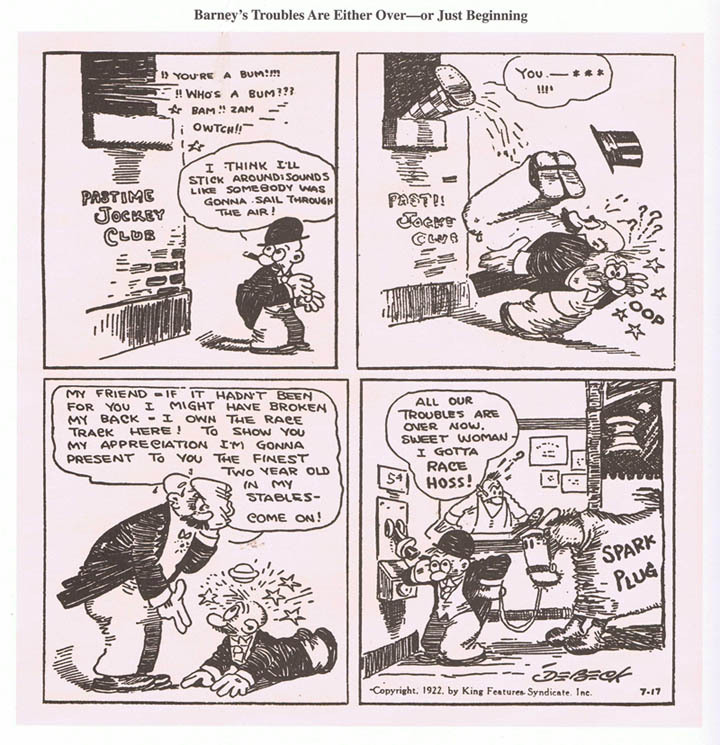 These cartoons had simple plots--but these served as the structure needed upon which to hang one gag after another. They were not concerned with telling an actual coherent story. Nor should they have been. They are perfect for what they are. But this has always meant that it can be difficult to translate the Looney Tunes characters to other media and still be funny and true to their personalities. 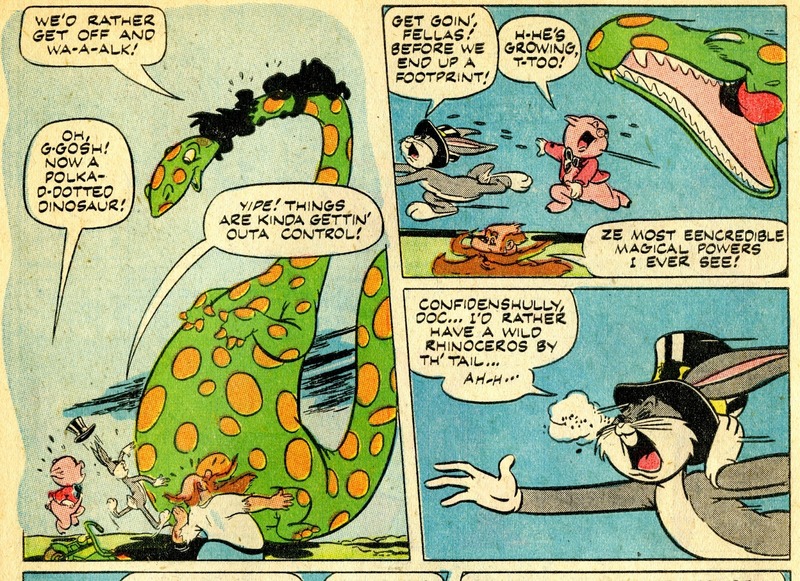 So comic book Bugs Bunny, for instance, is inevitably going to be different from cartoon Bugs. There will be more structure to the comic book version, a little less anarchy in both the story and Bugs' personality--and the bad guys will fire guns that might actually kill you. 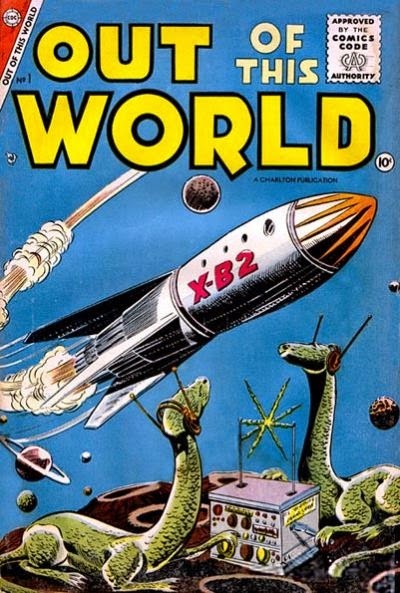 Well, okay, there is more structure--but I've just sat here thinking for a few minutes and discovered that it is still impossible to coherently summarize a Bugs comic book story. The goofiness level is still a little too high for that. 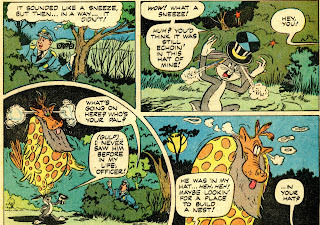 "The Magic Sneeze," from Dell Four Color #376 (Feb-March 1952) is a great example of this. I simply don't know how to concisely explain the plot and still do it justice. So I'll just give you a few bullet points. 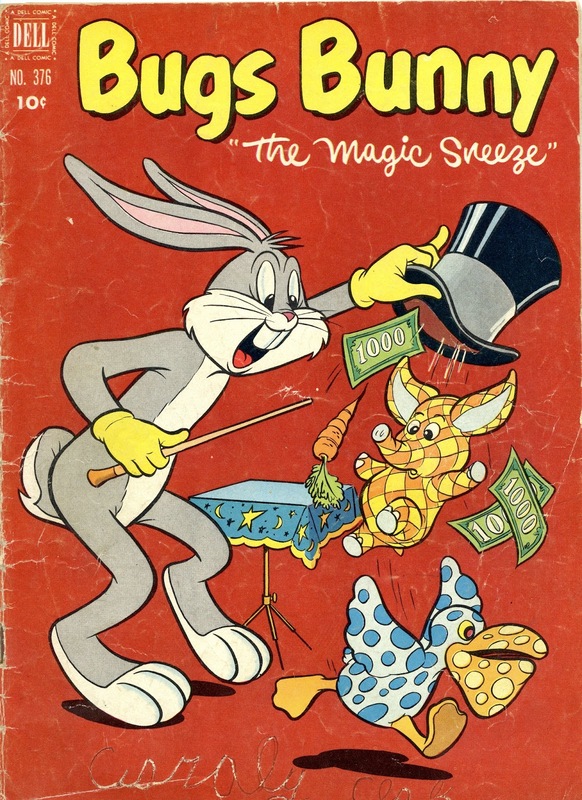 Bugs gets a hat that trickles magic dust (formed from the disintegration of a magic plant) onto him and causes him to sneeze. When he sneezes, bizarre creatures appear. 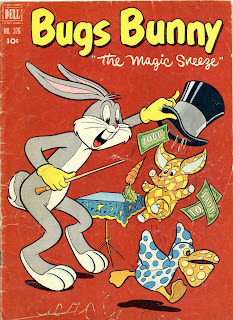 When he sneezes again, the bizarre creatures disappear. This, by the way, makes sense in context. 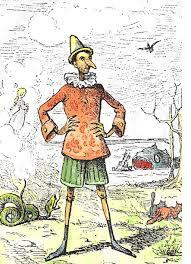 magician as part of a ill-defined plot to conquer the world. They escape, find the magician, and ride to freedom on hypnotized sharks, later switching over to magically summoned polka-dotted birds. This also makes sense in context. More shenanigans ensue, with Bugs inadvertently summoning up a pterodactyl, then a polka-dotted dinosaur, then a surprisingly normal-looking rhinoceros. The end result is that the villains are captured. 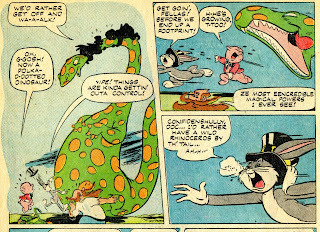 The Dell version of the Looney Tunes was not as anarchic as the cartoons--for any medium other than animated cartoons, that would probably be impossible. But the world created for them by Dell was a fun one, allowing for stories that followed a bizarre logic of their own, giving them a relatively coherent beginning--middle--end and rarely failing to entertain us. 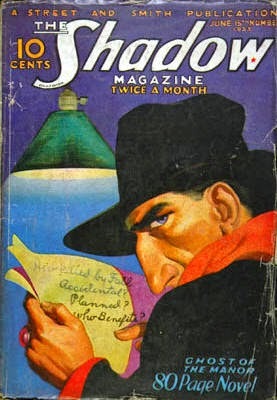 No one can make reading a list look ominous the way the Shadow can! A newcomer to the Louisiana bayou is soon suspected of being a supernatural monster. 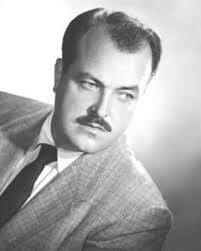 William Conrad is especially good at giving the illiterate and uneducated protagonist a three-dimensional personality. "She's Worth Her Weight in Hog Livers!" 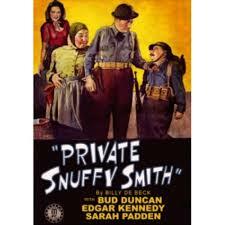 To get to the 1942 movie Private Snuffy Smith, we have to start in 1919. 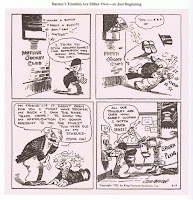 That's when cartoonist Billy DeBeck began producing the comic strip Take Barney Google, F'rinstance, which recounted the adventures of a sports-loving ne'er do well. Soon renamed Barney Google, the strip gained enormous popularity beginning in 1922, when Barney became owner of a race horse named Spark Plug. In fact, the horse was popular enough to make "Sparky" a common nickname among boys--including the future creator of Peanuts, Charles Schulz. But the strip changed again in 1934, when Barney took a trip to the remote town of Hootin' Holler and meets a hillybilly named Snuffy Smith. So when B-movie studio Monogram Pictures made the first of two movies based on the comic strip, Snuffy was the title character and Barney is nowhere to be seen. Diminutive actor Bud Duncan is Snuffy, wearing a prosthetic nose and probably looking as close to the comic strip character as an actual human being can. This is a silly, goofy movie that rambles along, with several story lines and running gags linked together just enough to be able to say that the movie does have an actual plot. Snuffy is being pursued by revenuers who want to close up his still. 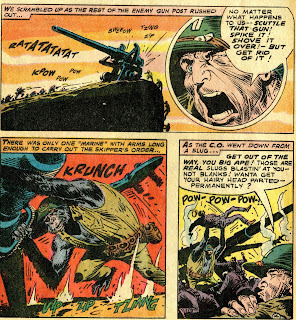 This makes for a hard life, but then he learns that if he joins the army, he'll get gold buttons, khaki pants, all the vittles he can eat and an astounding $21.00 a month. At first, the army is rather understandably uninterested in letting Snuffy enlist. He gets in after accidentally saving the life of a general, but life in the army isn't as easy as Snuffy thought it would be. You can't take a nap whenever you want and his sergeant turns out to be the former revenuer who had been trying to catch him at the beginning of the film. Entwined in this are several other plot elements. Snuffy's wife Lowizy accidentally created an invisibility formula while making soap, so Snuffy is able to bring his now invisible dog with him to the army camp. 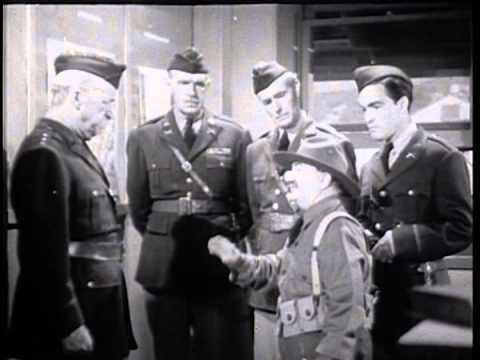 A fellow soldier (played by future head Mouseketeer Jimmy Dodd) has invented a new range-finder that Nazi spies are trying to steal. 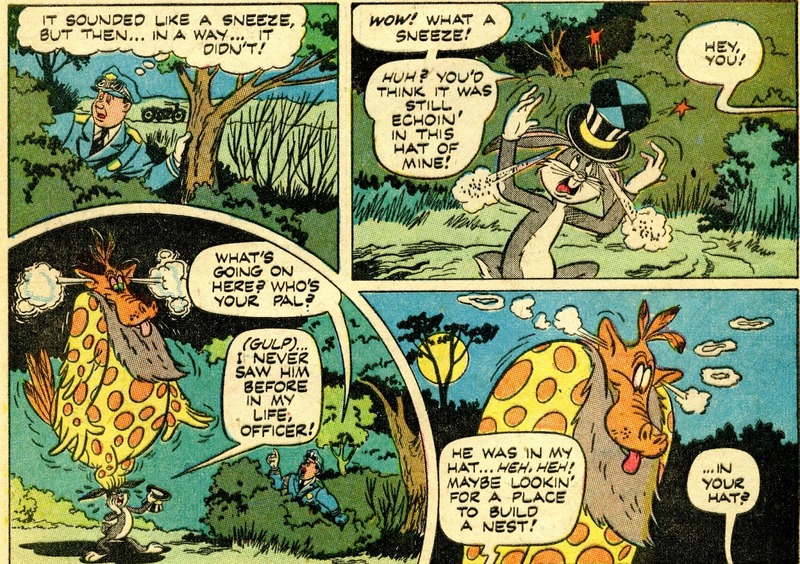 The General is desperate to win war games being held near Hootin' Holler, so finds he needs Snuffy as a scout after he's kicked the short hillbilly out of the army. He also needs that range finder, which means catching those pesky spies. All these various elements do end up playing off one another in order to resolve the plot as a whole. One or two of the numerous running gags fall flat, but the movie is pretty funny as a whole. It won't keel you over laughing the way a classic Capra or Hawks screwball comedy does, but it has more than its share of good moments. Duncan and Sarah Padden as Lowizy play off each other nicely. And Snuffy teaches husbands the world over how to effectively complement their wives--"She's worth her weight in Hog Livers." Gee whiz, now I want to get married just so I can use this line to woe my wife. It can't possibly fail. Edgar Kennedy is the long-suffering revenuer/sergeant--in a role that perfectly highlights his ability to get laughs out of perpetual aggravation, with both Snuffy's laziness and the antics of the invisible dog conspiring to drive him to apoplexy. I also enjoy how the movie succeeds in making gentle (not mean-spirited) fun of the military and its customs. 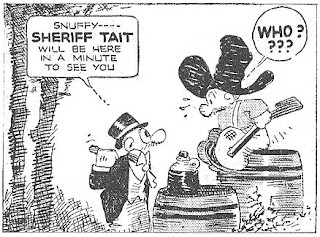 Monogram would make one additional Snuffy Smith movie that same year, in which we do get a chance to meet live-action versions of Barney Google and Spark Plug. We'll return to Hootin' Holler soon and take a look at that. The planet Paladra has no water at all. It apparently has some sort of tactical or strategic value, though, since humans keep a garrison there. So that means water has to be shipped to them. This is done in a clever way--millions of tons of water are condensed into basketball-sized metal spheres, so a single ship can transport it to Paladra. This is the premise of "Raiders of the Waterless World," from Mystery in Space #56 (December 1959). I should mention that my copy is a reprint from 1972, so the panels I'm showing might be colored differently than in the original. 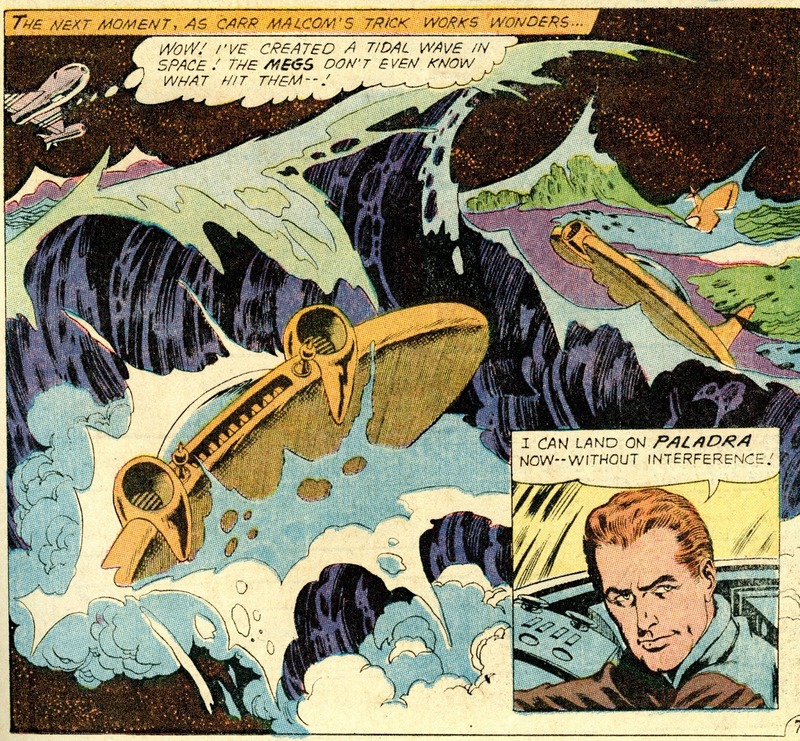 The guy piloting the water ship is typical of any military cargo ship pilot in any work of fiction ever written about cargo pilots--he wants to be a fighter pilot, by golly! He wants to be where the action is! But here he is acting as water boy yet again--as he did on the college football team. This is a very cliched characterization, but writer John Broome handles it well and uses this to lead into the story's wonderful action set piece. Warlike aliens called the Megans have besieged Paladra. The pilot has a choice--run for home without delivering the water or try to get through despite having an unarmed ship. Or is the ship unarmed? The pilot realizes he can use the condensed water spheres as weapons. He launches one out of his ship. The absolute zero of space expands and freezes the water, turning it into a huge bludgeon that crushes a Megan ship. He launches another out of his ship's jets. The temperature of the jets prevents the water from freezing when it expands and he thus takes out the remaining Megan ships with a tidal wave. There's a fun twist at the end. The pilot is recognized for his heroic actions and promised a reward. He assumes he'll finally get to fly a fighter. But, no, his reward is a new state-of-the-art water transport! I'm afraid I don't know if the physics here make complete sense--I don't know how vacuum as well as temperature would affect the water. 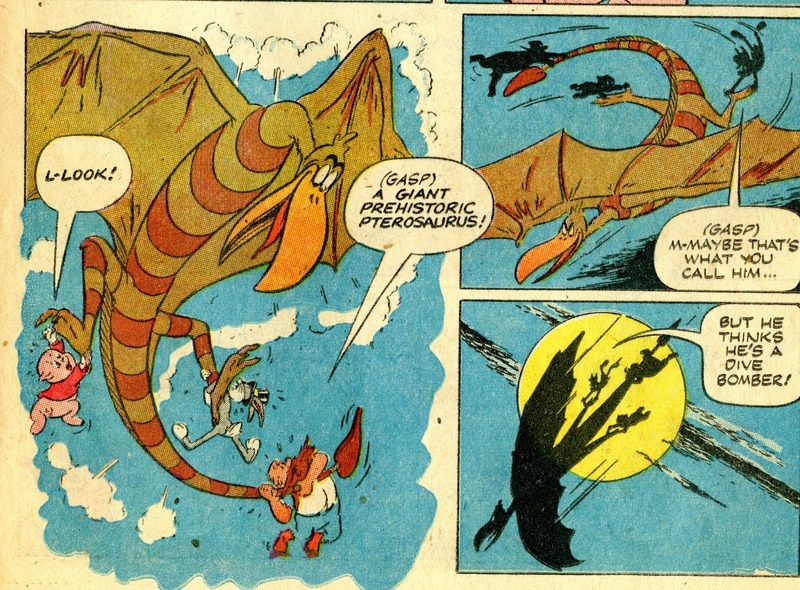 But this is a comic book story, by golly---real-life physics need not apply. 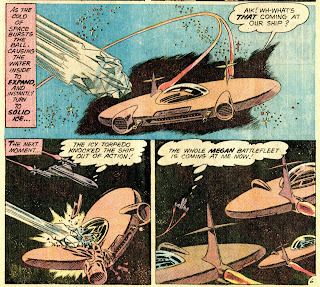 And the whole thing gives artist Gil Kane to draw some awesome images of weaponized water destroying enemy space ships. We don't often get to see a tidal wave in space. When we do get to see one, we shouldn't complain. 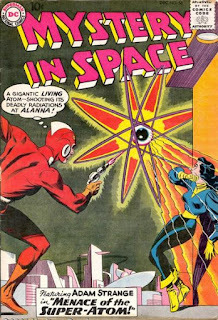 DC Comics' Silver Age war books often had the most dramatically effective covers. Mel Blanc plays the wooden puppet come to life in this often hilarious adaptation of the story. 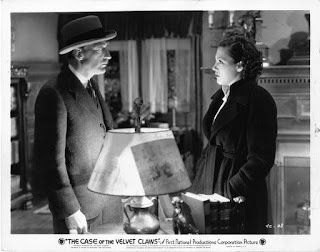 By the time we get to Warren William's fourth and last appearance as Perry Mason, we really need to look at the movies as knock-offs of The Thin Man, rather than adaptations of Erle Stanley Gardner's novels. To be fair, even a faithful adaptation of the 1933 novel would have been different from the Perry Mason we know. The Case of the Velvet Claws was the very first Mason novel, in which Gardner was still figuring out how best to use the character. 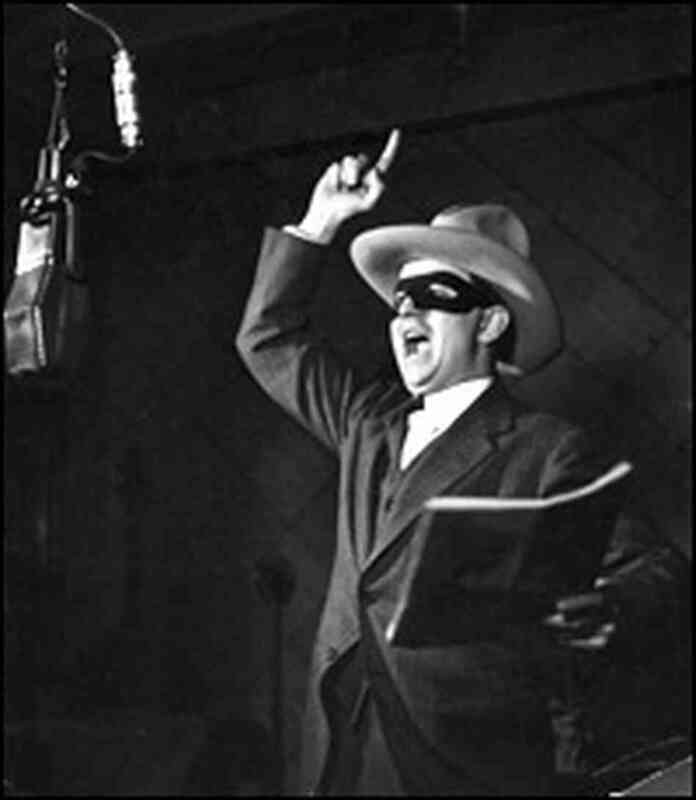 Initially, Mason was more of a hard-boiled detective than a lawyer--bribing cops and acting tough while bragging about how he wrapped up cases without ever having to go to court! Boy, did that ever change quickly! The 1936 movie actually preserves the skeleton of the novel's plot. A woman is accused of killing her husband and, in fact, it seems that she must be guilty. She's actually not a very nice person and ends up attempting to blackmail Perry into representing her by threatening to accuse him of the murder. But the hard-boiled feel of the novel is dropped. The movie begins with Perry and Della stampeding into night court and asking the judge to marry them. Then its off to their honeymoon--on which they inexplicably bring along Perry's assistant Spudsy Drake. I don't care how much you depend on your Man Friday--you don't bring him on your honeymoon! But Perry won't have time for romance. A woman with a gun is waiting in his hotel room, forcing Perry to accept a $5000 retainer and dragging him away to help her squash a story that's about to be published in a sleazy tabloid. Then her husband turns up dead and she goes into her "But I heard you arguing with him, Perry, dear" act. Before long, Perry can't go back to his new wife, because he has to dodge the cops while tracking down the real killer. Claire Dodd, who played Della Street two movies earlier in The Case of the Curious Bride, returns to the role here and her banter with Perry actually does remind you a little of William Powell and Myrna Loy. The trouble there is that the plot structure requires them to spend most of the movie apart, so their word-play with each other is disappointingly brief. Another weak point is replacing Allen Jenkins as Spudsy with Eddie Acuff, who simply isn't that good in a part that saddles him with some pretty bad attempts at comedy. 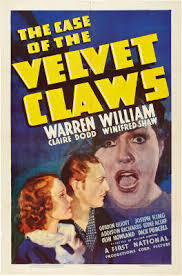 But Warren William's charm and humor manage to keep a so-so film afloat. It would have been nice to see a series of Mason movies made in the 1930s that were more faithful to the novels, but if we are going to get comedy-mysteries instead of straight mysteries, then you would be hard-put to do better than giving Warren William the lead role. That's it for Perry Mason--there were two more made in the 1930s, but Mason was no longer played by William, so this is a good stopping point. For the next movies in the In Order series, I think we'll pay a couple of visits to a hillbilly family living in the small town of Hootin' Holler. 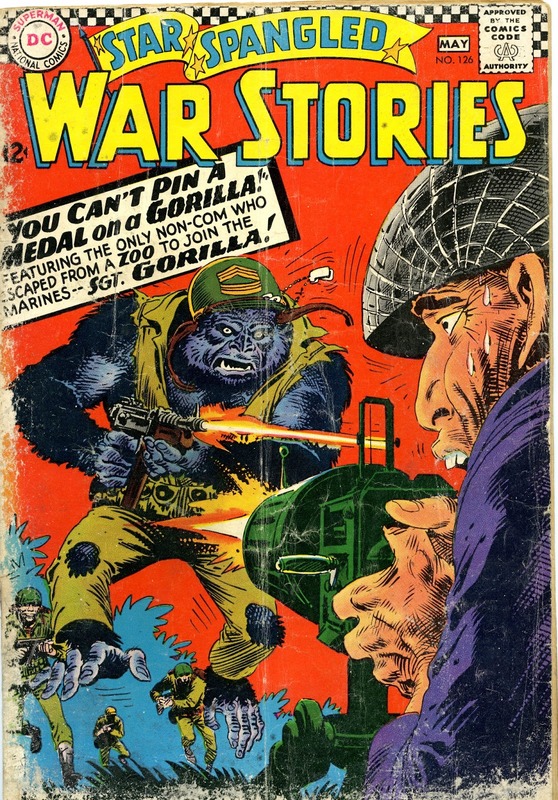 "You Can't Pin a Medal on a Gorilla" was written by Bob Kanigher and drawn by Joe Kubert. 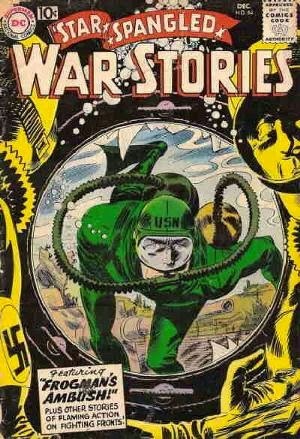 Featured in Star Spangled War Stories #126 (April-May 1966), it gives us one of the most gloriously goofy cover images in the history of the medium. The accompanying story is just as goofy and just as fun. Pinky Donovan is a former marine and animal trainer who travels around with a gorilla named Charlie and puts on a show for the troops, involving Charlie dressing as a marine and fighting the "Japanese." When Pinky is called back to active service, he figures that's the end of the act. When Pinky and his unit are attacking an enemy-held island, the ship transporting Charlie is torpedoed. Pinky figures that definitely ends the act. But he's wrong. 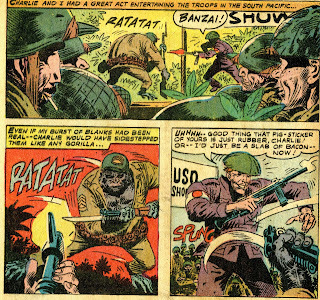 Charlie survives and makes it ashore, where he joins Pinky's unit and uses the skills he learned in their act to help fight the Japanese. Pinky is delighted, but the C.O. is convinced that Charlie will eventually panic and run for it. In fact, the C.O. takes out his aggravation over the whole thing by repeatedly busting Pinky down a rank--sending him from sergeant to corporal to private before the story ends. But Charlie sticks with it, eventually helping the platoon climb up some cliffs to destroy an enemy gun emplacement. Charlie is a hero, by golly, and even the C.O. is impressed by this point. The story isn't clear on whether Pinky gets his rank back. 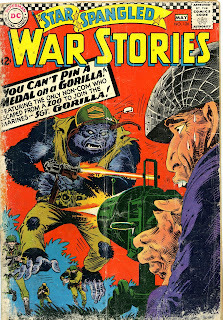 This story ran during a time when Star Spangled War Stories was running the War That Time Forgot series. 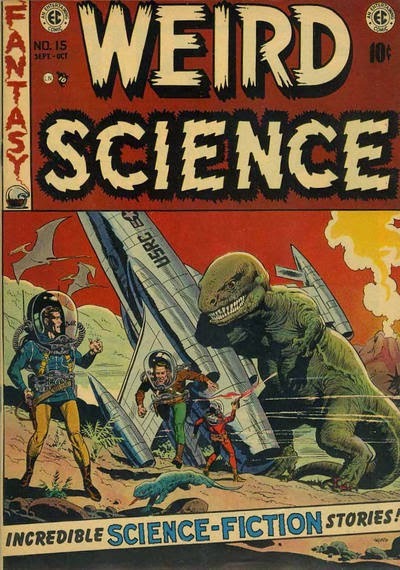 So this issue gave us a brief break from dinosaurs. Normally, that would be annoying. You can never have too many dinosaurs. 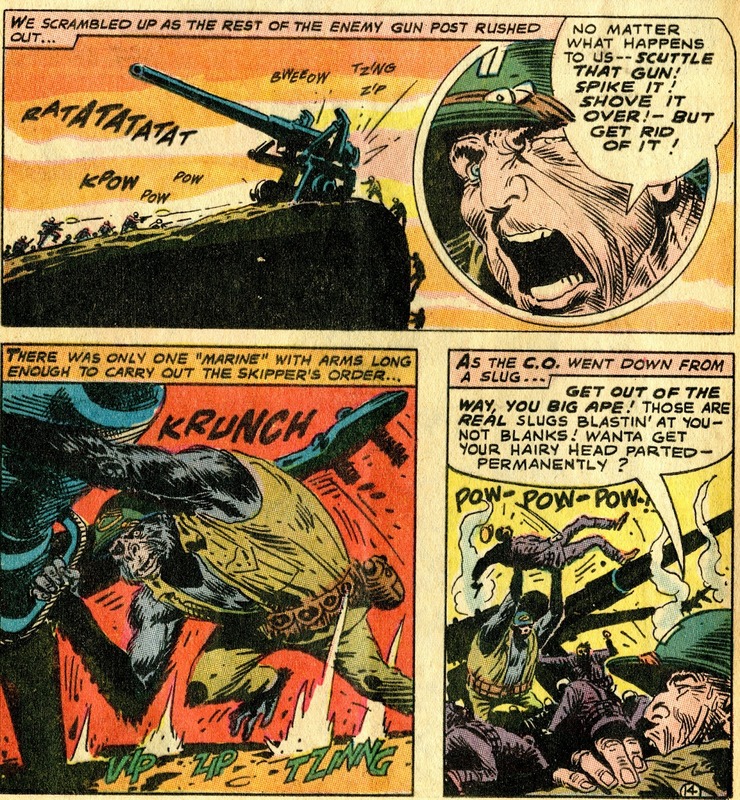 But a trained ape using skills obtained doing a U.S.O. show to defeat the Japanese? Well, you can't really object to that either, can you? 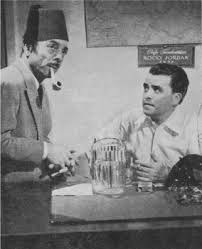 There's a bomb hidden somewhere in Cairo--and Rocky only has ten hours to find it before it goes off. Bionics, a Treasure Hunt and THREE Batman Villains! I don't know why, but my memories of The Six Million Dollar Man are much stronger than those of The Bionic Woman. I did watch both shows and, though I was still just a kid, I was far enough past the "girls are icky" stage not to be bothered by a female protagonist. I was, in fact, old enough to appreciate how nice it was to look at Lindsay Wagner--the actress who played the bionic Jamie Sommers. For those of you who need a review: The Six Million Dollar Man, the 1970s TV series about a secret agent with bionic limbs and a bionic eye, came first. 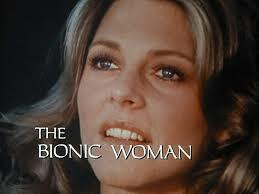 The Bionic Woman (who had bionic limbs and a bionic ear) was the spin-off. So perhaps I remember the original show better because it came first and was my introduction to the then-new-in-science-fiction concept of bionic body parts. Also, it's on that show we eventually learn that Bigfoot is an alien robot--which is such an awesome explanation for Bigfoot that I gladly accept it as true. But whatever the reason, I can recount the plots of a number of Six Million Dollar Man episodes that I haven't seen for years, while my memory of Bionic Woman episodes is a lot hazier. There is a couple of exceptions to that. One of them is an absurdly entertaining three-parter in which a mad scientist played by John Houseman hatches a scheme involving weather control and Fembots. Interestingly, the other episode I remember is (in a way) more mundane, with no overt science fiction elements other Jamie Sommers' bionics. "Black Magic" (broadcast on November 10, 1976) has Jamie assigned to impersonate a relative of a recently deceased scientist named Carstairs. Her mission is to recover a secret formula before one of the other relatives finds it and sells it to a foreign power. That the other relatives would do this is a given. The Carstairs family is entirely made up of thoroughly rotten people, all willing to lie, cheat and perhaps even kill to get the family fortune for themselves. The will is being read (or rather, played on videotape) at the family mansion on the remote Lafitte Island, meaning Jamie is pretty much on her own. The will specifies that the relatives are to be sent on a scavenger hunt--the first one to figure out a riddle (based on a modified version of the Lewis Carroll poem "The Walrus and the Carpenter") will find the hidden family fortune and get to keep it all. But someone is "disappearing" the relatives as they search the mansion. Soon, only Jamie and one other is left--they don't trust each other, but they'll have to team up to solve the riddle and save themselves. It's a fun story--the riddle's solution turns out to be quite clever, the setting gives the story an effective atmosphere and the supporting cast is great. William Windom is the sleazy family lawyer and Abe Vigoda is the creepy butler. But the real treat are the actors playing the Carstairs relatives. 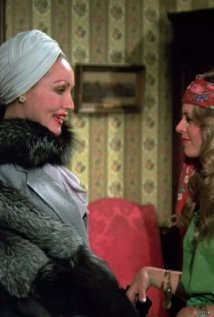 This includes Vincent Price (who played Egghead on the Adam West Batman series), Julie Newmar (who was the second-best Catwoman on that same series) and Hermione Baddeley (who played a character named Frontier Fanny on Batman in several episodes involving the Old West-themed villain Shame). Yes, that's right. THREE Batman villains in a single episode! With all of them playing their roles with the same over-the-top glee that was part of the charm of the Batman series. I have no idea if that fact registered with me when I originally watched the episode nearly 40 years ago, but by golly it jumped out on me when I recently Netflixed the DVD and watched it again. The episode is a mystery-comedy, with science fiction barely rearing its head. Jamie uses her bionics a few times to get out of tight spots and catch some foreign agents, but it would have taken only a minor re-write of the script to allow an agent without superpowers to accomplish the same things. It was a story where SF elements simply weren't essential and the show's creative staff was savvy enough to realize this. 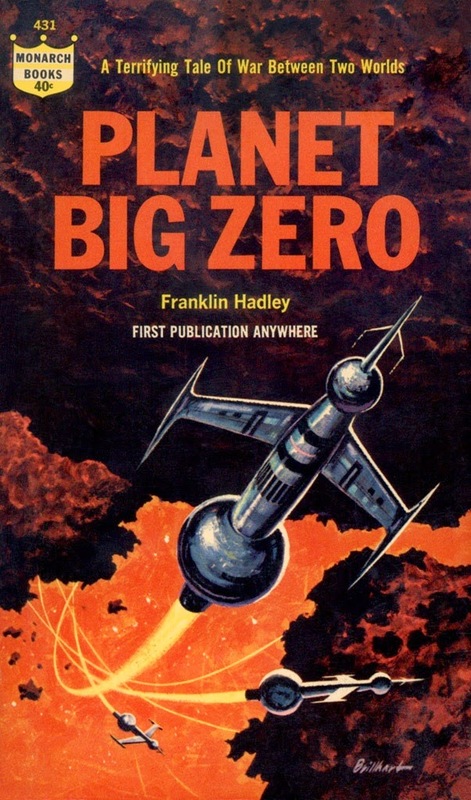 It can be argued that with a few exceptions (such as the original Star Trek), science fiction shows from the 1960s and 1970s were best experienced when we were children--when illogical plots and inconsistent continuity wouldn't have been noticed. Then, with memories of the fun these shows once gave us, we can enjoy them as adults even as the flaws become more apparent to us. Many of these shows really were good despite their flaws--I don't mean to issue a blanket condemnation of them. But they were made at a time when science fiction didn't get the respect that it deserved and so plot holes and illogical storytelling were sometimes excused simply because of the genre. So it might be that I grew up at the right time to enjoy the bionic shows, Irwin Allen's shows and live-action Saturday morning fare with an uncritical eye that allowed me to embrace them more fully than I would otherwise have done. But "Black Magic" is a great episode exactly as it is--whether you're a kid or an adult, you can enjoy it enormously. Well, he had ME fooled! I'm not sure if I should be embarrassed or not. Sure, Roy had the bad guys and the miners fooled. But did he fool most readers the way he fooled me? 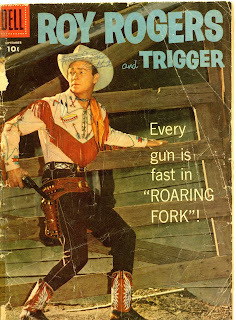 Roy Rogers and Trigger #117 (September 1957) has Roy and his horse riding into the mining town of Roaring Fork, where there's no law and everyone seems to be punching out or shooting at everyone else. The trouble is a proliferation of claim jumpers--but most particularly two guys who are trying to jump claims in one particular area. This is despite the fact that only an insignificant amount of gold is being found on those claims. 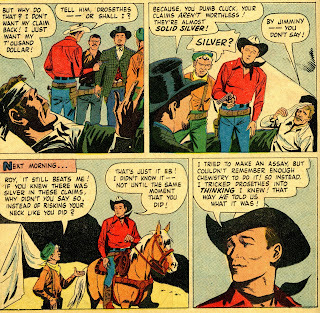 Roy befriends an old prospector and helps drive off the claim jumpers. But he wonders what their motivation is. If the claims aren't worth that much, why work so hard to get them? Perhaps the answer lies in the apparently worthless blue clay that runs through the claims. Roy and his friend take this to the assay office in Roaring Fork, but the assayer tells them it's worthless. Roy has doubts, though. When the assayer is out of the office, he enters and tries to remember enough chemistry to run some tests himself. The assayer returns and catches him. But not before Roy announces he's found the reason for the claim jumping. He escapes from the assayer, then manages to round him up along with the claim jumpers, forcing them to confess that the blue clay contains rich silver deposits. It's a perfectly good story, written with his usual skill by Gaylord Dubois. But the twist at the end is where it turns out I was fooled as completely as were the bad guys.. Because Roy actually could not remember enough chemistry to properly test the clay. He simply pretended he did to fool the bad guys into confessing. I fell into the same trap that Dubois would have led his young readers into when this was first published 58 years ago. Roy is the hero--we would naturally think that he can do pretty much anything. So why couldn't he do complex chemistry despite the fact that he's a cowboy and not a chemist? After all, Roy would have been a mentor/father figure to many of his young fans during the 1950s. From a kid's perspective, dads, cool teachers and older brothers can do anything, can't they? But I'm a grown-up. I should have seen this darn plot twist coming. But I didn't. I simply accepted the idea of Roy Rogers, Master Chemist without question. If I'd been a bad guy, Roy would have nailed me as well. Gee whiz, I should be embarrassed, shouldn't I? 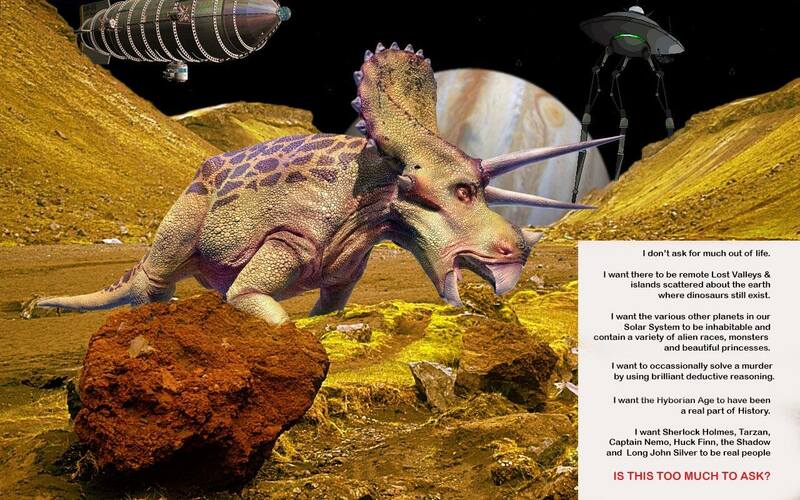 A double-feature today--because dinosaurs and space ships somehow always seem to go together. 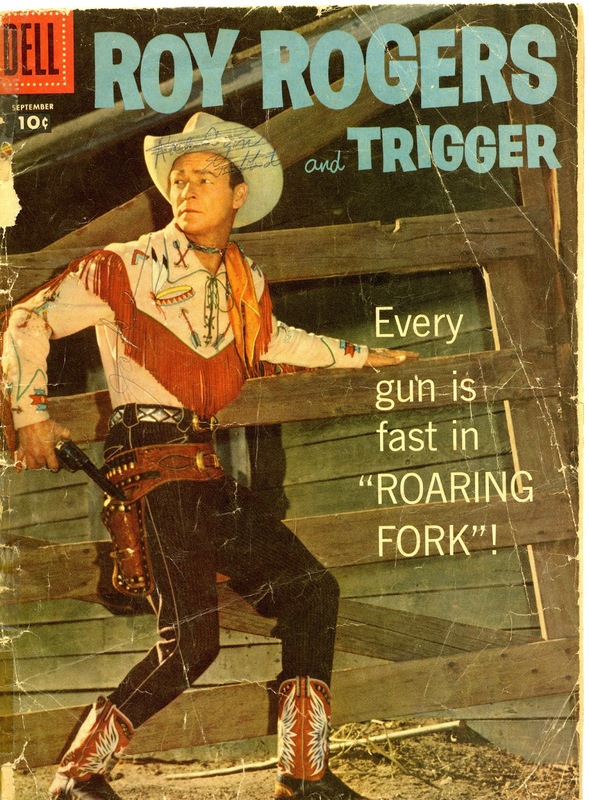 A man needs the Lone Ranger's help in battling rustlers. But if he asks for that help, he might reveal a dark secret from his past to his daughter. If you love dogs (and who doesn't love dogs--because they're awesome and not cats), then a particular Our Gang short is required viewing for you. For many of us, we more readily think of these shorts as The Little Rascals, because that's the name used when they were syndicated on TV and that's how we grew up knowing them. 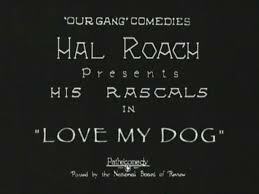 The series began in 1922 and was produced at Hal Roach's studio and originally distributed by Pathe', an independent film distributor that was around during the 1920s. It lasted for two decades, with regular cast changes as child actors kept annoyingly growing up. Those of us who were introduced to them on television are most familiar with the Spanky & Alfalfa shorts made in the 1930s, because those were the ones most often shown. By the way, Roach sold the series to MGM in 1938, but later bought back many of them and repackaged them for TV. The legalities involved in this is why they became The Little Rascals when they appeared in the new medium. Anyway, 1927's two-reeler Love My Dog is one I never saw as a kid and only recently saw as a grown-up. Gee whiz, it's wonderful. 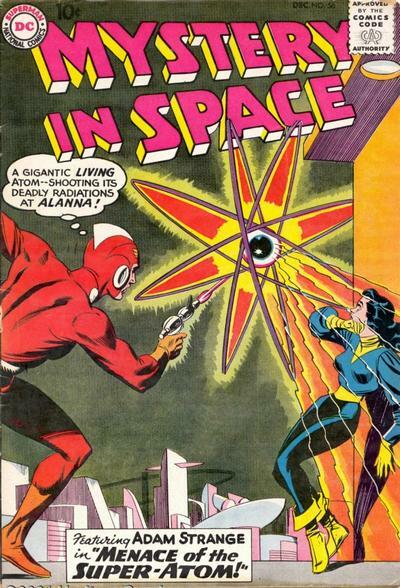 The Gang at the time included Farina (Allen Hoskins) and Joe (Joe Cobb), who pretty much take the lead in this one. Farina befriends a homeless and hungry mutt, only to find out that the local dog catchers are on a jihad to catch and put to sleep any unvaccinated canines. One of the strengths of the Our Gang series throughout its run is that the kids acted like kids. 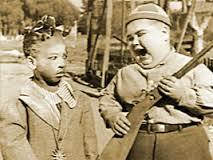 Yes, it was in an exaggerated, comedic manner--but you never had any problem accepting them as real children. This was something that added both to the comedy and the heart of the series. So when the kids in Love My Dog come up with desperate plans to protect their dogs that involve disguising them as other animals, we have no problems running with this. In our minds, these are real kids, so that means the dogs are real dogs in real danger. The balance between silliness and a sense of real danger is perfect. Farina's poor dog has quite a day. He helps rescue other dogs out of the dog catcher's wagon (the dog catchers, by the way, are cartoonishly evil) and pauses to rescue a toddler from the ledge of a tall building. But he is himself caught and taken to the pound to be gassed to death, the Gang has to very quickly raise the $5.00 needed to save his life. Will they make it? This is a funny, thrilling, and ultimately touching comedy short.